Mondays and Wednesdays 7.15am-8.00am with co-ordinator: Marsha Cummings. Tuesdays 7.00-9.00pm will restart 6th February 2018. (fortnightly on the first and third Tuesday of the month) with Mahesi Caplan. 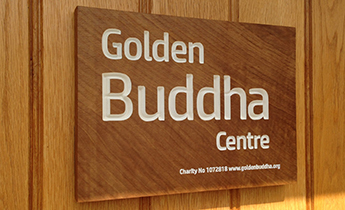 Wednesdays 2.00pm-4.00pm Silent meditation session led by Stefan Karpik. Thursdays 2.00pm-3.30pm (except the first Thursday in the month). Hall Clean-up: Saturday 13th January 2.00-4.00pm If you would like to lend a hand (with even just a little job) it would be very much appreciated. Just pop in whenever convenient to you during the clean-up time and you will receive a warm welcome. 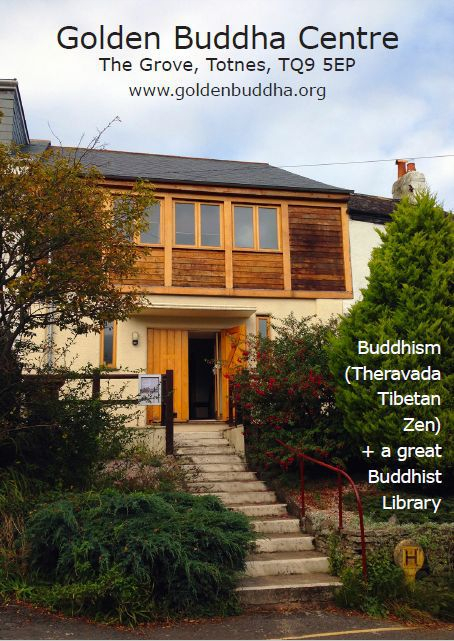 Feel free to use the Golden Buddha Centre library during the following opening times. If you would like to borrow books, please enquire about membership. This is a unique and well-stocked library in its early stages of development. The afternoon will begin with a film. This will be followed by discussion and tea. All Welcome. A 5-week course with Colin Moore starting Monday 8th January 2018, 7.30-9.00pm. Entitled Recognising the Deathless, this will be on the teachings of the Buddha regarding the unborn and the unconditioned. Each session will be about 90 minutes long with meditation and time for discussion. Participants will be expected to make a commitment to study and practice between the weekly sessions. Suggested donation for the 5-week course: £25 (£15), but no one will be excluded on the basis of lack of funds. To register your interest and to find out more, please contact Colin at clearlightmind@webplus.net. Everybody welcome. Above sessions by donation.